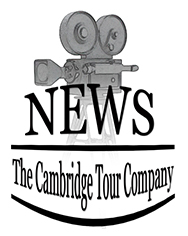 Home - The Cambridge Tour CompanyThe Cambridge Tour Company | Specialising in guided walking tours of Cambridge, UK. put together a bespoke tour…just for YOU! We wish to ensure your experience of this beautiful and historic University City stays with you. All our guides are fully qualified Cambridge badge guides. They are fully insured. They live locally and can offer personal recommendations of what and where to go during your stay in the city. Why 20? Two main reasons. With a group of 20 persons or under we are allowed to visit and enjoy a College court and Chapel. Secondly, it allows for everyone in the group to hear, see and participate in the Cambridge Experience. The Classic Cambridge Walking Tour. Please click on “Our Tours” for tours and prices.